In the U.S., 70% of new fathers take off just 10 days or fewer to spend with their new baby. So what's it like when two new working parents in Brooklyn can take a 12-week parental leave together? We both love our careers and hope to share parenting as equally as we can, starting off with shared parental leave. Maybe we're delusional. Let's find out. We are Adrienne and Christian, and had our first baby, Rasmus, in November 2017. Once our parental leave kicked off, we started posting a new episode each week, and we invite you along for the ride. Now posting monthly episodes as of spring 2018. Questions for us? 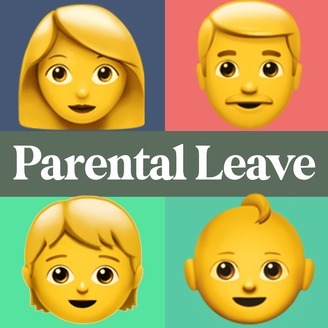 Email us at parentalleavepodcast [at] gmail [dot] com. 9 Months - "Here Comes Trouble"
On taking a pouch of baby food to the face, falling down, and #normalizebreastfeeding. Updates from Adrienne, Christian, and Rasmus on life with a 9-month-old in Brooklyn. Read complete show notes and watch the video version at parentalleavepodcast.com. Have a question or comment for us? 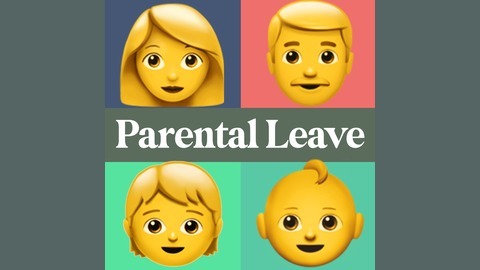 Write us at parentalleavepodcast@gmail.com. 7 Months - International Travel Adventures!